It is wonderful to have a reprint and revision of the original 2008 edition of this indispensable guide available. This book became the standard reference for these shell-less molluscs and copies were almost impossible to find once the original printing was sold out. 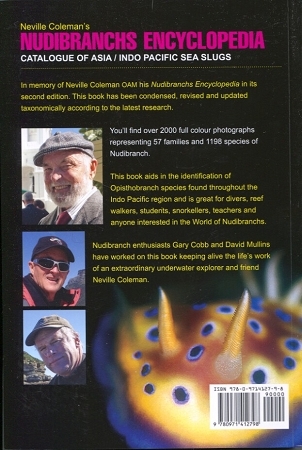 This revised edition by two enthusiastic nudibranch enthusiasts and friends of the author has been put together as a memorial to the work done by Neville Coleman. 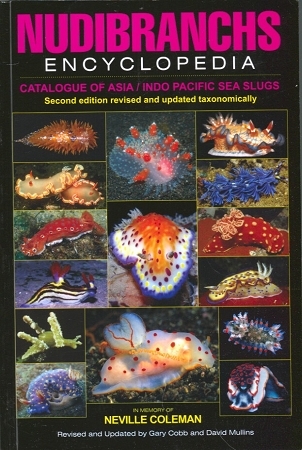 In this amazing catalog, you will find over 2000 color photographs of these mollusks in their natural habitat. In all there is coverage of 57 families of these beautiful mollusks in which 1198 species are shown.